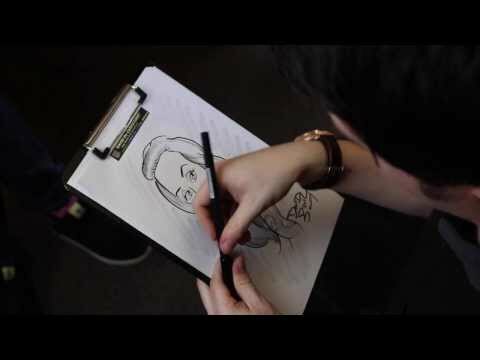 David is a talented, enthusiastic caricature artist for weddings and events from Cheshire. 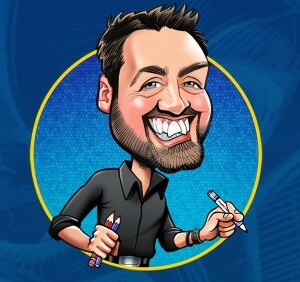 Having studied Art and Design for many years, David has provided many outstanding pieces of artwork for various clients – such as producing personal caricatures for engagements, band posters or simply gifts for friends and family. 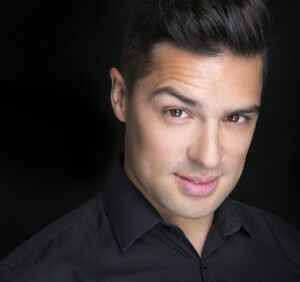 David has also worked at many live events such as the Radio City 96.7 Christmas Party 2011, drawing live 'On-the-Spot' caricatures for DJ's and newsreaders, as well as providing artwork for celebrities including X Factor's Marcus Collins, Alex Gerrard, Sheree Murphy and cast members from Hollyoaks. Available to entertain at Wedding celebrations and events of any kind, David’s style of drawing will guarantee your guests take home a perfect souvenir from your special day. Number of Reviews and Counting... 261! 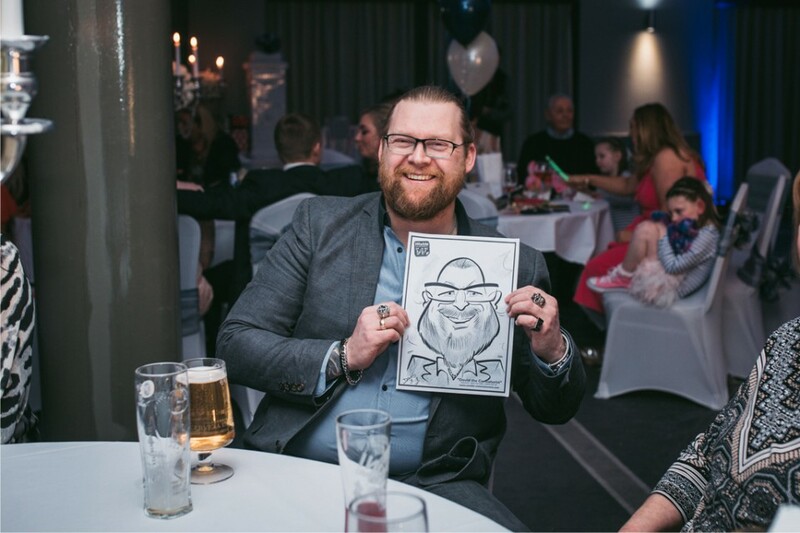 Having gained a degree in Illustration at Glyndwr University in Wrexham, North Wales, David has since gained experience by providing ‘on-the-spot’ caricatures at various parties as well as providing wonderful private commissions based on photographs. David has a friendly, relaxing approach and will entertain your guests with his unique style of drawing which will capture your likeness while also providing plenty of laughs. Artwork is drawn on A3 size paper (A4 for 'mix-and-mingle' events) which can also be specially labelled with prior notice, such as the names of the couple getting married and the date of event. Drawings usually take up to 5 minutes to complete for each person. David is also available to provide personalised Wedding Signature Boards – created in advance from your photographs, a romantic storyboard will display all the important dates leading up to your big day (first date, hen and stag nights, location of the ceremony, honeymoon destination, etc.). It can be mounted with enough space for your guests to leave you a message. David was amazing, guests loved him and he just fitted in. I didn't even speak with him properly, he just liaised with the venue when he arrived and did his thing! Thank you. David was friendly, accommodating and most importantly great at what he does! Our wedding guests loved his work. Can highly recommend. Thanks David! Words fail me - LOVELY GUY and got some fantastic drawings of my wedding party! Thank you so so much. David was the perfect entertainment to keep our guests occupied whilst we had our wedding photos taken. He managed to do a lot of caricatures in a small period of time, and our guests were really pleased with them. The only downside was we didn't book him long enough for everyone to have one done!! We have recommended David to friends who are also getting married within the next few years. Excellent service right from the start. Booking is made easy with lots of contact prior to event to put you at ease. Very professional service. Dave was brilliant on the night. I have no idea how he got through so many people with great positive feedback from guests. We chose the option of Dave moving round tables which worked out really well as people watching were also entertained. Guests, quite a lot of them, went home with their own caricature. They are in pencil and not colour as you may think with his advert, but this did not make a difference to the service given. Would recommend for your party 100%. I find booking through Warble Entertainment very easy. All the information was easy to find. They were very prompt dealing with queries and sent reminders of when payment due and other useful information. David was really great on the evening of our Wedding and kept working throughout, despite me offering drinks and food. All of the guests loved their drawings and David made sure he did one of us and another one with our little boy after he got up from his afternoon nap. David was so kind to stay on to do another couple of guests who wanted their drawings doing too, which was very kind of him. Would not hesitate to recommend Warble or David. Thank you! Fantastic addition to the party. Everyone loved it! And David is a really lovely person who made it even more special. David arrived at the agreed time and started straight away. He was not obtrusive and worked his way round all the tables. The drawings were all of a high standard and I would recommend David for any event. 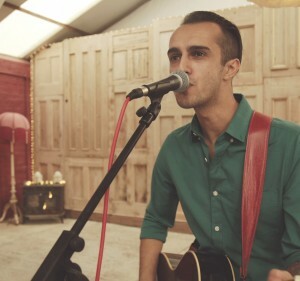 David was amazing at our wedding. The pictures he drew were incredible and everyone thoroughly enjoyed getting their pictures drawn. He fitted in perfectly to the wedding. Thank you so much! David was amazing, everybody loved his drawings and was quick and efficient. Everybody had a laugh at the fantastic drawings, very professional! Very professional and friendly. David was a huge hit with the guests. Would definitely book him again. David was fantastic! It was a great conversation starter for out event. Thanks so much! Dave was a great addition to our day. Lovely bloke and very professional. Everyone loved their caricatures. Would definitely recommend. David was fantastic, he arrived on time and stayed later than the allocated time as he was in such demand by our guests! His sketches went down an absolute treat with everyone - thank you for adding something extra special to our big day :) Craig & Leanne Robinson. David was very charming and melted into the background as he went about his work and everyone was genuinely thrilled with their personalised momento of the night. Very good everyone liked their pics and the service from all aspects from booking it to the wedding day were second to none. Very friendly and approachable and a really lovely person to be around. David was amazing with all our guests and was very attentive to our requests and needs! Thank you so so much. Absolutely fantastic Caricaturist!! So, so happy with David and all the drawings that were done in the evening, the guests loved it!! Great feedback from guests about David.He mixed in with the guests well and all were happy with the pictures that they received. Would recommend David to everyone.Thanks for being part of our day. David was excellent! He was extremely organised and our guests loved him! It was great entertainment and would recommend him highly! From the moment we contacted Warble Entertainment to saying goodbye to David at our wedding it has been so easy and stress free. David was excellent and all our guests thoroughly enjoyed not only being drawn, but watching him draw as well. The speed and accuracy he captured our guests is nothing less than astonishing. We would have no hesitation in recommending Warble and in particular David. Thanks Sarah and Scott. Just a note to say thank you for an amazing afternoon's entertainment with your sketches. Everybody thoroughly enjoyed having themselves caricatured (if that is a word!!) Everyone was very complementary about the afternoon and enjoyed every minute of it. Many thanks for adding to our wedding celebration. David was fab at our wedding - I am so happy that we booked him. We loved our caricature picture and I know that everyone who had one done really loved theirs. 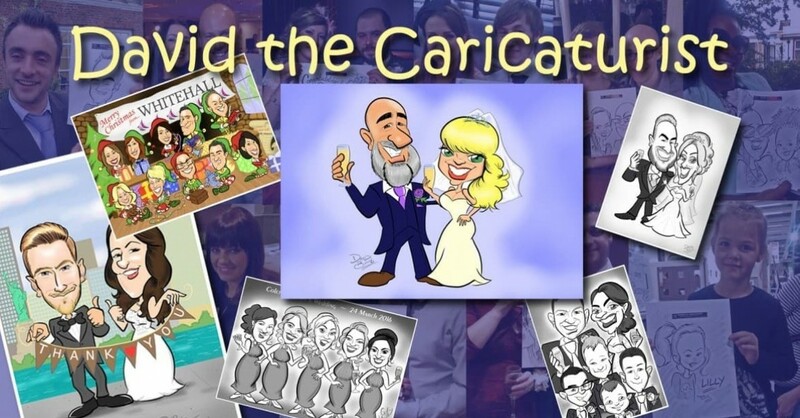 Having David doing caricatures really helped to bring fun and laughter to the wedding. David is really talented and was very professional. Warble Entertainment (Maya) made the booking process so easy, I would definitely recommend booking David for your event I'm so happy we did! What a wonderful night - cannot praise David highly enough. He turned up on time and got to work straight away and did not stop.His Caricatures were fantastic and all my guests loved them. Would definitely recommend. David was brilliant throughout the day. The wedding breakfast ran over but David didn’t see this as an issue and blended easily with the crowd. Our guests enjoyed their pictures and taking something home. Thank you for adding that special something to the wedding. David arrived on time. David mixed easily with the guests and his caricatures were excellent. Our guests fully enjoyed the experience and I would reccommend David as an artist. David kept all guest amused, a completely different form of entertainment, everybody went home happy with their portraits. Great fun. Everyone enjoyed David’s work and couldn’t believe how good it was. We had him booked for four hours and within that time he didn’t stop despite a buffet and drinks being available. In fact, he left late to try and capture a few others (there were over sixty people). We would highly recommend David to any event. David was great, very professional, our guests really enjoyed getting caricatures. David was great, everybody loved their drawings. Thank you. David was amazing and went down an absolute storm with our guests, he was very friendly and went out of his way to accommodate everyone, highly recommend and would use again. David is very friendly and amazingly talented! Brilliant drawings and made sure everyone got a drawing when they asked .Would book again! Many thanks David. Jill and Darren. Everyone enjoyed having a caricature done and it occupied everyone at the wedding. David was great! Very prompt and professional when arranging the final details and his caricatures went down an absolute storm at our wedding. I would not hesitate to recommend him for a similar event. He was brill! Everyone was chuffed - thanks! David was great. Everybody at the wedding loved him and the drawings. It was fantastic and a great addition to the day, I would recommend him. So friendly and talented. Great pictures too! David was an essential part of our wedding reception. Our guests were blown away with his talent and unbelievable skill set. It was great that everyone got a souvenir to take away from our special day. David is such a lovely person, he arrived promptly and really mixed with the crowd. David managed to get most of our guests drawn despite the limited time he was given and we couldn't recommend David any more! This guy is FANTASTIC! David was brilliant - He mixed with all the guests and got around everyone. Brilliant, cannot say enough about how good David was. Everyone loved the pictures and he was great with the guests. Would highly recommend him! Such a great artist! David arrived on time and just got on with the job! Lots of positive feedback from guests. Highly recommend. Thank you! Very professional and charming - would recommend. Excellent drawings, very realistic! The guests really enjoyed this alternative to having a photobooth. David was pleasant and polite throughout and I would definitely recommend having him at your event. 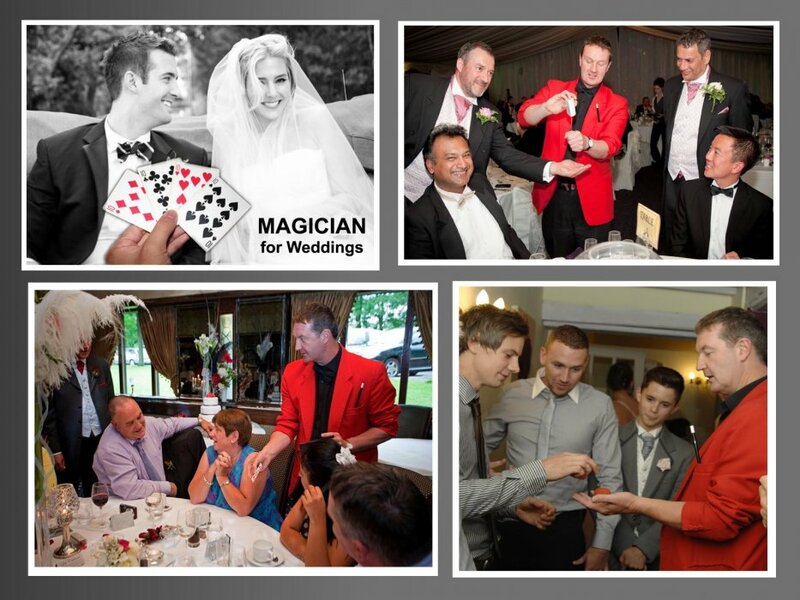 A lovely surprise for wedding entertainment, David was very friendly and professional and he comes highly recommended! Fab chap, amazing skills and great entertainment. Can't thank you enough. David did a fabulous job on the evening and was very friendly. He arrived early and worked the entire time he was with us without a break. I would thoroughly recommend him. Very popular, we had over 80 guests and he was in constant demand by young and old alike. David did an excellent job, he is a very pleasant and amiable guy. I would recommend him for any function. 1st class. Well done. David was absolutely amazing. The guests loved him and were so so impressed by his drawing skills! We would 100% hire him again! David was absolutely fantastic, he was prompt and really engaging with our guests. Absolutely brilliant caricatures, everyone loved them. Would definitely use again. David did an amazing job on our Christmas cards. He was quick, the results were fab and we are really happy with the way he interpreted our ideas. Thanks David! Have a happy Christmas. David was absolutely brilliant, even willing to stay another 5-10 mins to get an extra drawing in at the end even though his wife was heavily pregnant and needed to get home. He was so popular with both kids and adults. The 2 hours we booked him for was not enough time. When you book him, because you should, book at least 3 if not 4 hours. Everyone was so happy that they got to take home their drawing. Well worth every penny. Thanks David. Mark & Ria. We were so pleased we booked David to entertain our guests. He was friendly and everyone really loved his drawings. It made our day extra special and unique. I would highly recommend him. Thank you. Absolutely blown away by Davids talent!! We had a lot of people saying "hmm not sure about a Caricaturist" (including my new husband!) - But as soon as he arrived, he was inundated with people wanting him to draw them!! It is safe to say that all minds were changed that day!! My only regret is i didn't hire him for longer!! Fantastic! - your talents are incredible, David, and I still have people now talking about you!! Great guy and very friendly! Highly Recommend. David did a fabulous job on the evening as everyone who had a caricature was very happy. He was happy to stay a little longer as our daytime reception over ran. A very pleasant young man and would highly recommend him and yourselves to others. Great guy, lots of talent. I've recommended him to others for future events. Very professional. Turned up on time and great drawings. We booked David to perform for 3 hours at our wedding during room changeover. David arrived early, introduced himself and was quite simply excellent. David's drawings were done quickly, but the quality was first class & he chatted throughout. Our guests commented that David was much better than what they've seen previously. A perfect addition to a wedding. I'd 100% recommend David. Thanks, John Campbell. We thought David was amazing!! Did a really good job and I am very pleased we booked him for extra time as everybody loved him!! Well worth the money, many thanks. David was fantastic and all our wedding guests loved their pictures. Really nice guy and his drawings were fantastic, all the guests absolutely loved it! Absolutely amazing evening, everyone loved David would recommend to any friends. From start to finish David was a great addition to the entertainment for our wedding reception. He contacted us prior to confirm venue and timing etc as arranged. Upon his arrival he was on time, smart and he engaged with the guests perfect. He was in great demand throughout the night. His talent is amazing and people were coming up commenting on how much they were loving his work and how nice he was. He put smiles on everyone faces with his work and made a great impression on our guests and the venue. I would have no hesitation in booking him again. David was absolutely fantastic! His caricatures were spot on and most of my guests got a picture! Everybody commented on how amazing David was and what a nice guy he is. Every wedding needs a David. Thank again for making my day more special. Amazing talent! Really added to the evening and everyone was impressed with their pictures to take away! David was amazing! The best thing we bought for our wedding! The guests absolutely loved it, David was doing a mix & mingle placement but in the end people queued up for pictures from him. The quality of pictures were great!! I would 100% reccommend David to anybody! Excellent quality - the guests at the event loved having a keep sake! Would highly recommend David! Quite simply, David was fantastic. We would recommend him without question. David was absolutely amazing. We hired him for our wedding Saturday just gone and we could not be happier with him. All of our guests commented on how brilliant he was and often times when I looked over whilst he was working he had quite a few of our guests peering over his shoulder. He was prompt with his arrival and worked the entire time he was with us. I could not recommend him highly enough! So thank you David - us and our guests have a brilliant momento of our day through your drawings. And thank you Warble and Chris for the easy, stress free and informative booking experience. Would recommend, thoroughly enjoyed by all guests. 5 stars. David was fab! Really enhanced our prom, giving something memorable to take away on the evening. Brill, friendly and guests loved it. David was brilliant, very accommodating and he was very quick and detailed with his drawings - a great addition to our special day, Thank you David! David was fantastic! Really friendly, created brilliant pics for everyone. Definitely recommended. Everyone really enjoyed David's drawings! Mingled with the crowd really well and would definitely recommend. Thanks David. We cannot express enough how pleased we were with David's services. Our guests absolutely loved his work and whilst he drew, he was always surrounded by a crowd of impressed observers! It really added an extra element to our evening and I cant recommend him more - in fact I've already passed his details on to a few friends! A true professional and a talent not to be missed! Thanks David. Gwynn & Ciar. We are so happy that we choose David to attend our wedding on the 8th April. He was excellent with the guests, who really enjoyed his work. We would certainly recommend him in the future. A huge thank you for David. He was extremely talented, friendly and very professional! Everyone was really happy with their drawings and the likeness was amazing. I would highly recommend!! Excellent from start to finish. Engaging from the word go, David drew me and my wife to begin with and had requests throughout our 3 hour set. All our guests felt David did a huge job in ensuring the day was entertaining and they offered a countless words of praise. David was amazing. Everyone loved having a caricature done of them. A great addition to our special day. Thank you so much. Thank you so much to David. You did a fantastic job, the guests were thrilled with their caricatures. Very friendly and professional. I would highly recommend. David was fantastic, he made contact in advance of our wedding and I felt very reassured that everything would go to plan. On the day, David arrived in plenty of time and circulated the room really well ensuring that as many guests as possible received a caricature. David went down really well with our guests and I wouldn't hesitate to recommend him. David worked really well with myself and our guests. I would highly recommend him. It was fun having him at our special day and great that our guests had something to take home to remember the day. Our drawing he did prior to the wedding was fantastic. He was absolutely brilliant, everyone loved his work and found it very enjoyable. Would definitely recommend. David was simply brilliant! He set up his stand for while guests were arriving at the event and wowed everyone with the speed and accuracy of his caricatures! He then went onto mingle whilst we ate our dinner continuing to impress people. We will definitely be reaching out for future events - thank you David! Very professional and really lovely pics. All guest were happy and loved their drawings. He even managed to draw my 16 month old little boy. Brilliant and would recommend David. David was very professional and did the job well. Booking David was one of the best things we could have done. David was very professional and friendly, he introduced himself on arrival and we were so impressed with his drawing talents. 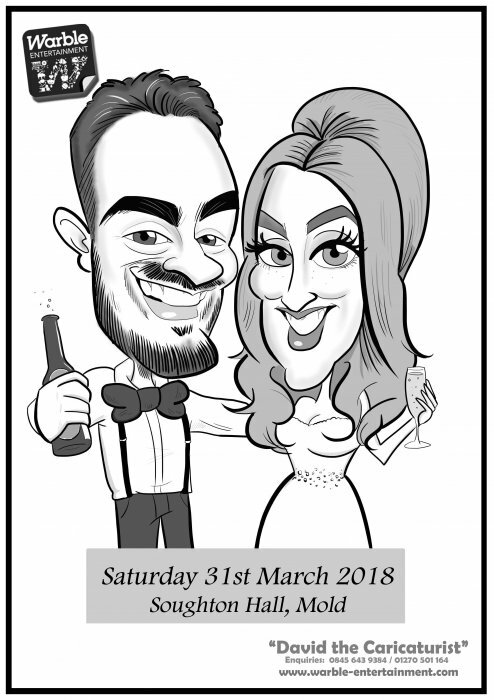 So many of our guests enjoyed having their picture drawn and we have since had some lovely positive comments on how booking a caricaturist is a fantastic idea for a wedding. 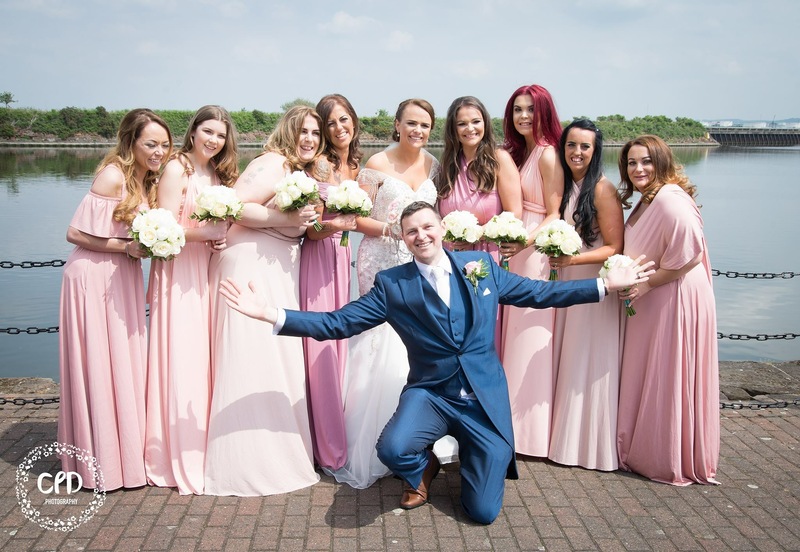 We would not hesitate to recommend David to anyone organising a wedding. Just brilliant, thank you David. Sue & Steve Haines. David is an amazing caricaturist and delivers a lot of laughs with his drawings. He is able to create not only caricatures of people physically present, but can add images by special request. This was truly appreciated by all the people present. David's communication was immaculate and he was well on time at the venue. Very highly recommended. We are so delighted we chose David to be part of our special day at the Mere golf resort on 5th August 2016. David contacted me prior to the wedding to discuss what I would like. He really made an impression on our guests. The passion he has and friendly nature shines in his work. Our family and friends are still talking about how much fun they had and are comparing pictures. David made an extra effort to include those important to us and even managed to squeeze us in working around everyone else bidding for our attention. This meant a great deal to us. 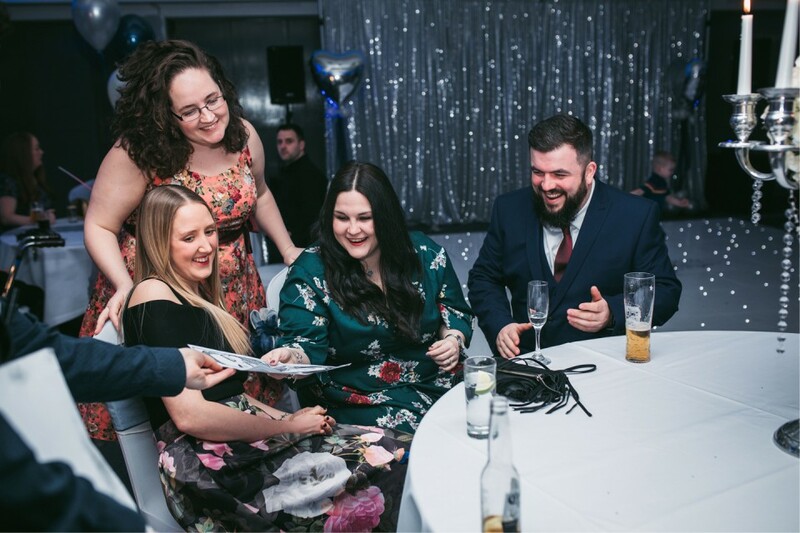 I know our day was made even more special byÂ having him there, our guests loved watching his creations come to life and have a fantastic keepsake of the fun we had on the day! David is truly fantastic at what he does and has a good natured personally which our guests really responded to. We are so pleased we chose David to add lots of laughs to our perfect day. Fantastic! We hired David for 3 hours. He was fast and very, very good. The worry with caricatures is that they would emphasise a part of the face like nose or ears that we are all paranoid about... David didn't. He was accurate in that you knew whose picture he'd done and they were just brilliant! Everybody loved their picture. Everybody thought he was fast and loved it. I took photos of the drawings and put them in an album on facebook. It's a gift for the party goers and something to talk about. Less formal than photos and unusual enough to be a wonderful memory. David was superb and a quiet soul too, barely knew he was there. Thank you! David was an excellent addition to our wedding. He was great with the guests and gave excellent communication with me leading up to the day. He was punctual and worked the crowd well! Thank you David! Very popular with our guests. Blended in very well (drew during wedding breakfast). The caricatures were excellent! Brilliant! Lovely guy and went down a storm. Thanks David! Excellent, David went down a storm at our wedding reception. Was polite, professional and accommodated everyone's requests. Highly recommended. David did a great job at our event, all of our clients really enjoyed it. David was very professional,and his caricature drawings were very entertaining and provided great keepsakes. Thank you David. David was brilliant. He was very professional and his drawings were hysterical. He also stayed half an hour later than expected due to the wedding breakfast over running which i thought was very nice. Event was successful and store manager was very happy with how it went. David was very popular with colleagues who had their picture drawn on the night! Everyone loved their caricatures! People are still talking about them and showing them off. They brought a lot of fun to the day and people had a lovely momento to take away with them. David made sure all of the key Wedding party had a drawing before leaving and was professional and friendly throughout. Thank you so much David for helping make our day special. Fantastic. It was a wonderful keepsake for everyone at the party. Dave was friendly and just blended in capturing everyone's expressions. I would highly recommend. Everybody loved the pictures but unfortunately not everybody got one as the time ran out. I would definitely book again and recommend you to friends and family. David was pleasant, polite and immediately put our guests at ease. His unique cartooning style went down really well as the portraits were a good representation of the guests, and were very funny whilst remaining complimentary and cute, we really enjoyed David's entertainment and he was an excellent choice for the evening! David arrived in good time. We were running late and he was suitably accommodating and adjusted his schedule. David dressed smartly and very appropriately for the occasion in a suit and tie. David is a very likeable character and was chatty and sociable, having a good rapport with all our guests. Everyone enjoyed the experience and his drawings were very good and picked up the traits of our guests. People, when leaving, commented that they enjoyed the experience and were going to be framing their memento of the day. We would highly recommend using him and using Warble - the whole process was very easy. Steve & Jen. Everyone loved their pictures and it was a nice surprise for my guests. Lovely guy too. David was brilliant, he was inundated with requests from people. We even extended his time on the night because he was so busy. His artwork was amazing. We would highly recommend. Everyone at the Wedding was amazed with David and his art work. I will be recommending David to family and friends for future parties and events. A fantastically talented and friendly guy. This is the second time we have hired David for a big family event and I'm sure it won't be the last from all the positive comments we received from my sons wedding guests! Thanks again David. David was amazing, we were really impressed by all of his drawings and he went above and beyond our expectations. All of our guests were delighted with their drawings and commented on them all evening. He was extremely professional and we were so glad he was part of our wedding celebrations as it was another memory to treasure. Absolutely brilliant!! Everyone loved their caricatures and we had so many positive comments from family amd friends. Definitely book David! Thank you so much! Excellent drawings and really nice guy. Our guests loved him! David was absolutely fantastic! Made an effort to get around as many guests as he could and they all loved his sketches! Would highly recommend him for any party / wedding! Thanks David you did a great job! Hannah and Chris. David was a brilliant addition to our evening reception and was well received by all our guests! Would definitely recommend! Made everyone feel comfortable and brilliant pictures - Absolutely fantastic... Definitely recommend. David was excellent. Mixed and mingled with the guests seamlessly and all our guests commented on how great and fun the sketches were. I would highly recommend him. Thanks again for making our day so special and for giving our guests a great gift to remember the day! Great caricatures, works fast and no issues. He was a lovely person, all my guests really enjoyed getting their pictures done, I would recommend him to people. Communication has been brilliant and the caricaturist was friendly, professional and very talented. Added something different to the wedding and all of our guests loved it! David was great on the night and friendly to all... great pics too, just a shame he couldn't stay for longer as we had a late night queue. But, all in all great value and fun, thanks. We're so pleased how well this worked! David was great at mingling with the guests and getting their drawings for them and made sure myself and new hubby got our pic done too, which we're very grateful for. It was a fun addition to have at the reception to entertain the guests. The booking process was easy as well and David got in touch in good time before the day to confirm all the details. David was a great addition to our big day. We had zero complaints and many great feedbacks from our guests. Highly recommend Warble Entertainment - we had no problems at all and their service was of a high quality. David was very professional and accommodating. I would definitely recommend to other companies and would use him again. I could not recommend David enough. At our wedding be dos his job in a polite and lovely manner. I have no negative feedback for David and if you are thinking of booking him I thoroughly persuade you to do so! He was fantastic! Everyone loved him and his drawings. Fabulous – everyone was very happy with their caricatures. Very accommodating and helped the event go well. An excellent entertainer who fitted in well with all our guests and was in much demand. Thoroughly recommend him. Great drawings - very funny! David was brilliant, he was very friendly and put people at their ease, his caricatures were superb and everyone enjoyed their experience. It was very easy to book this artist via Warble Entertainment the whole process was easy with great communication. Thanks Dave for helping to make the day so successful. Wouldn't hesitate to recommend you. David was fantastic! His work was first class and he was a very lovely man. Added a special touch to the event a pleasure to have at the party. Well presented young man who worked in a very professional manner. Guests loved it great guy and amazing drawings. Excellent service throughout. Only positive comments about David. Happy to stay later to accommodate guests. Very good work. Definitely recommend. Telephone liaison with company great. Quick responses and very knowledgeable. Reliable all round. Many thanks. Very nice person and delivered everything we asked of him. Would definitely use him again. David was amazing. The drawings were incredible. We were soo happy that we booked David. He provided a great service and the guests were very happy with him. Absolutely brilliant and such a nice man. The guests loved him. David was lovely, he is quite talented and he has been very nice with us and with all our visitors. If 5 is Excellent then David should have 10 he was BRILLIANT, a lovely person. He contacted me before the event which put me at ease, he was brilliant with colleagues. Thank you so much. Amazing and friendly, very professional but still made people feel comfortable. Also his drawings were outstanding. David was brilliant. I wish I'd booked him for longer so ALL of my guests could have had a picture done. He was very good and my guests really enjoyed his drawings. We thought David was superb. Everybody enjoyed his drawings. A brilliant caricaturist, very professional and a pleasure to have him at our company. We will definitely welcome him back to our next event. David arrived on time and our speeches were still going on - he was due to work 6pm until 9pm but stayed until 10pm at no extra cost. He went down a storm with the wedding guests, lots of people now have David's caricatures as their Facebook profile picture! Even at 10pm people were begging him for "just one more". Would highly recommend - a great addition to our wedding. Thanks David, you got round nearly everyone and captured the essence of lots of people - whether they knew it or not. Great pictures and a very professional, friendly manner. David was so sweet!! He was cornered as soon as the guests spotted him and our guests loved his drawings! Thanks David!! David arrived in plenty of time and started mingling with the guests. His caricatures were fantastic! People were wanting more than one and he patiently did as everyone asked. He posed for selfies with the guests also which added a nice touch! My son is interested in booking David for his wedding next year and as soon as we have the date we will be back! Thanks David for helping to make my party a success! Brilliant caricaturist! All the guests loved him and his drawings! David was great at our Christmas Party! Turned up early raring to go and did a mix and mingle for 3 hours - Our staff loved him. David was fantastic - his drawings are amazing! David was brill, all the guests love the pictures, only thing is I wish I'd booked him for longer. David was polite and punctual but most importantly, what an amazing talent. Over the 2 days of the exhibition he must've drawn over 50 caricatures and they were all amazing. Everyone was so impressed. He was also able to draw from pictures on a mobile phone so most people got their loved ones an early Christmas present! Thanks so much David for being at our Corporate Event to celebrate us managing 1000 properties. Everybody thought you were fantastic and a really nice, friendly man and were very impressed by the work that you did. You are a true professional and we will certainly ask you along to any future events we organise. David was lovely and a very talented artist. Our students were very pleased with his work, and he went down a treat. We will be sure to book him again. David was absolutely brilliant! The only problem was that we wish we would have had him for longer. Everybody loved the drawings! David did an amazing job! Everyone had a great experience. He was really friendly and the pictures look fantastic, made us all laugh. He even stayed a bit longer as the party started a bit later due to traffic which I thought was great of him. We would recommend it to anyone for corporate parties. Many thanks! Was an amazing night, the guests loved David and he was a great addition to the wedding! Thank you. He was brilliant and all the guests loved his work. He is very friendly and artistic. He really out did himself. I would definitely recommend him to anyone that wanted to add a little more to their event. David's drawings were really great. He was very accommodating and even took photos of people who were too busy to stop for him, then doing the drawings from the photos. Thanks David the drawings were great. Excellent, David was wonderful - no complaints and we would recommend him to our family and friends. David is a friendly, professional and super talented artist. I wish there was a higher rating system as he is 5++++++++++++. He was outstanding at our wedding and cannot recommend him enough. Thank you very much to David for being part of our special day & also to all the staff at Warble who made the whole booking process run like a dream. I found Warble Entertainment very helpful; Emily insured that I got everything I needed and I was more than happy with David's caricature. 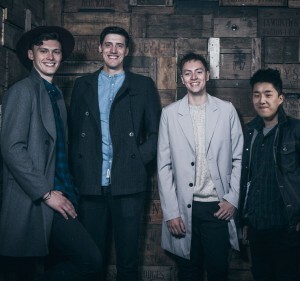 It was very straight forward to sort the booking and I would definitely use Warble Entertainment again. Many thanks! It was such a pleasure to have David at our wedding. The guests really loved all of his drawings and I couldn't recommend him enough. Thanks David. Very efficient and talented young man. Good with clients but not over imposing. Overall very impressed. David was absolutely fantastic and by far the stand out addition to our wedding (it's the main talking point of the day). He was professional and helpful in the run up to the wedding - answering any and all questions promptly. On the day itself he mingled with our guests and everyone who had a caricature was over the moon - we only wish we'd booked him for longer. Can't recommend him enough. David is fantastic - would not hesitate to recommend or use again. As well as working well and doing exactly what we needed for our event, he drew a brilliant picture of myself and a colleague so I could tell how good he is. Well done and thank you. Amazing! All the guests had their picture drawn and most have put on Facebook or Twitter. A great addition to the night, and great memories in pencil created! Highly recommended. David was a really nice guy, he provided some fun drawings for people and I wouldn't hesitate in recommending him or hiring him again for another party. Thanks David for helping entertain people! Thank you David for providing your amazing caricature drawings at Abigail's 21st. We asked you to mix and mingle with our guests who ranged from 16 to 86 they were all delighted with your gift and have responded already to say thank you. The very merry Un Birthday party theme provided a raucous event with a lot of fun David provided some brilliant memories for those guests who were lucky enough to be drawn. We asked David to look out for the quieter guests and certain characters he did this brilliantly and was very much appreciated. Once again than you to all at Warble you are a pleasure to deal with. We have been asked for your details. Absolutely amazing work. David was lovely and nothing was too much trouble. We would highly recommend him. Thank you David. David was great! Look forward to working with him again. David was excellent and we would absolutely book him again and recommend him to others, I wish we'd have asked him to stay for the whole evening as our guests loved having their picture drawn. 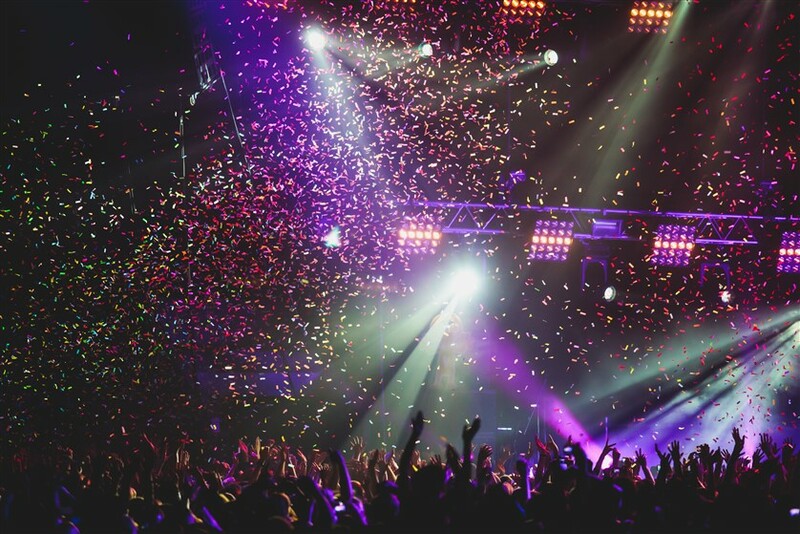 Thank you so much, we would absolutely use Warble for future events. The whole process was seamless. Many thanks Emma Robinson. Absolutely fantastic, went out of his way to please and very professional. A * Thanks so much. Excellent drawings and great personality. Great entertainment for our guests. Was really flexible and created great pictures. I would highly recommend. We can't recommend David enough. All the guests thought he was wonderful and were totally taken with the him. There were queues at times! In fact my mum complained she couldn't get hers done as every time she went over, a line of people were waiting! David really added to our special day, was entertaining and good fun. To have the drawing as a memento was really special for both us, the bride and groom, and our guests. He was very polite, professional and a true gentleman throughout. I would have no hesitation in recommending David to anyone. Jennie at Warble was also fantastic, and made the whole booking process straightforward and worry free. David was amazing, and was a real hit with all the guests at my daughters 18th as he provided us with many laughs and happy memories. A really nice person, I Would highly recommend him. David was excellent. He is very personable and helped to make our party go with a swing. Our guests really enjoyed having their caricatures done - and there will be some new pictures on their walls in the next few days! Thank you so much, David. Brilliant and thanks for organising at such short notice! The whole experience was great. David just sorted himself out and was ready and waiting for our guests when the service finished. We were lucky enough to be able use the veranda area and all the guests thought a caricaturist was a fabulous and novel idea. Thanks David - great success. I hired David for a corporate event. The booking process was simple and we found David very professional. He arrived in good time and produced some fantastic drawings for our attendees. We would definitely recommend David and Warble. We would like to thank David for the wonderful service that he provided at our daughter's wedding on Friday the 19th April 2013. Our guests were delighted with their caricatures. Not only did David arrive on time, he also stayed one and a half hours extra to ensure that all of our guests were accommodated. David was polite and his work was very good. We would use him again ourselves as well as recommend him to friends, family and colleagues. David you really enthralled our guests and made our event a resounding success. THANK YOU very much. Fantastic! 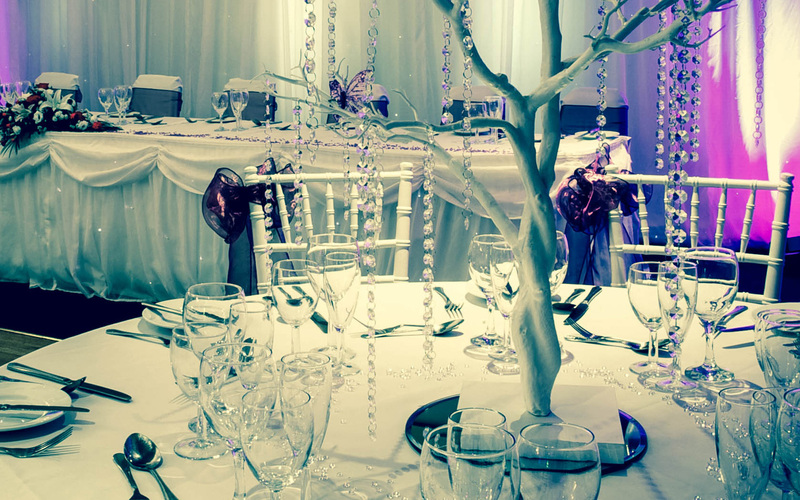 From making the initial enquiry, to booking, to the event - we can't fault the service. David was brilliant and made it such an enjoyable day for all. A huge thanks to you all. David had people waiting for him, from our point of view we had the best stand at the conference. Please pass on our thanks to David. A massive thanks to you also, from my initial enquiry all the way through, you were really helpful and made it very easy. David was great. All our guests loved their caricatures and he even stayed a little bit late to complete all the requests. It added a special touch to our wedding so I would definitely recommend booking David! Absolutely fantastic! Everyone loved him. David was a true professional in his work and worth every penny. Would recommend him to anyone. David is very talented and was very popular among the guests at this event. Many thanks David! David was amazing and the guests loved him. He made our day extra special and managed to fit all our guests in. The next day our guests spoke more about David than they did about the wedding. Highly recommended and his work was great too. The booking process was very easy. The pictures looked great, and he also brought sleeves, which we have never seen before, this was brilliant as it meant that people could take these away and they wouldn't get ruined with drinks being spilt and everything. We were pleased with the standard of the pictures that he was creating. Thank you. David was nothing short of SUPERB! He arrived promptly and stayed well past the time we had booked him for, which he didn't have to do. His professionalism was amazing and everyone who met him commented on how great they thought he was. In short, Many thanks to Warble Entertainment for recommending him for our event. I will CERTAINLY be passing on your details to anyone I know who is organising an event and requires something a bit different! Many Many Thanks. David was fantastic at our event last night and went down really well with all the guests. Would highly recommend him. His pictures were fantastic. Excellent service from Samantha....... we were struggling to find an artist for our STAND UP TO CANCER charity fundraiser THAT evening!!!!!!! We had been let down. Samantha was confident she could help us, and within an hour we had a confirmed booking and deposit paid!...... what a RELIEF. David turned up at our house, well on time to set up and settle in for his evening task! You could not ask for a nicer, friendlier, man to enter your home. His work was SUPERB. We had a great evening. David arrived punctually and ahead of time, even though he had been occupied at another event 2.5 hours away. He was really friendly and became a popular act throughout the reception and lots people enjoyed having their caricatures done. We would definitely use David again for future events and hope he also enjoyed working with us. Thank you very much! It was a pleasure to have David as part of my pre-wedding celebrations. He came on time. Was very polite and friendly. All our guests loved him and his work. David really helped make our party one to remember. Everyone was really impressed. An amazing artist. Brilliant. Very friendly and even stayed longer to fit everyone In who was waiting. Highly recommended. David arrived on time and was set-up on time. Brilliant caricaturist, friendly and a good hardworker! Brilliant job, thank you very much. Will be pleased to recommend your services to anybody who asks, I know our wedding guests enjoyed his work and have a unique memory to keep. Thank you very much. This was such a good idea to have at our wedding reception. David was kept busy all night long - the guests loved him and he made a lot of people laugh. We would definitely recommend him. Many thanks to David for coming on Saturday. Huge success - I have my picture on my office door. Please thank him from us here. David was great. He arrived well before time and was ready for when guests arrived. He got through a large proportion of our guests and they were all really happy with the results. His drawings really captured our friends and families personalities. He even sent us a drawing of us after the wedding as we didn't have time to pose! Thanks for being a part of our day that guests commented on and enjoyed. Highly recommended! We had a great night. David took time with everyone and was very popular. His drawings were fantastic. We will book him again. Hi Jennie, he was amazing thanks, very professional and fabulous! David attended our annual Staff Awards evening and what a terrific job he did. He worked quietly and dilligently throughout the event and all our staff were thrilled with his work. I would definitely book him again. Thanks for making it a special evening. Hi there, David was fantastic everyone loved the event and was really please with their pictures. 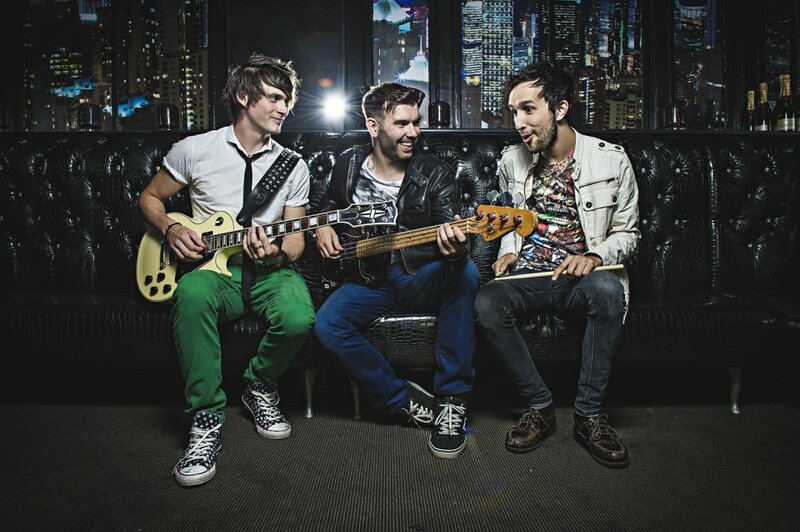 Everything from Warble Enterainment was great. Really pleased, thank you again David. David was fantastic! His pictures were a true likeness to each guest & everyone was impressed, thank you! Brilliant would highly recommend him to anyone. Great with people particularly the children. Good value, never stopped working. Fantastic feedback from wedding guests. David was a very polite quiet chap who worked non-stop with a busy gaggle of girls who were all pleased with their drawings and the novelty of a carciuaturist. Thank you. Q. How long does it take to draw a caricature? A. A single caricature usually takes 5-6 minutes to draw (everyone is different! ), obviously it would take longer to draw couples and groups. Q. Will guests to able to keep their drawings? A. Of course! All artwork for live events is drawn with quick-dry Tombow marker pens and Prismacolour Art Stix for shading. Q. What size paper do you use? A. Working from a stationary position, artwork will be provided on A3 sized paper, A4 for 'mix-and-mingle' events. Q. Do you work from a stationary position or do you mingle with the crowd? A. I am happy to work from a stationary or mix and mingle! Q. How many hours do you work at live events? A. I am available for 2, 3 or 4-hour sets. Also available to work longer with breaks. Q. When is the best time to hire a caricaturist? A. It is strongly advised that you do not book a caricaturist during times when meals are being served, guests generally do not like to be interrupted while eating, and the artist is likely to get in the way of waiters/staff members attempting to clear plates. Please allow up to 10-15 minutes to set-up. David is happy to 'mix and mingle' amongst guests, but if you would prefer to sit for caricatures, a small area would be required with enough room for 2 chairs and an easel. It would also be handy for the artist to be near a power socket in order to use an lamp in case of poor lighting (disco/poor lighting etc). Caricatures usually take 5-6 minutes per person (everyone is different!). Drawings are completed using quick-dry black marker pens (with shading) on A3 or A4-sized paper. It is strongly advised that you do not book a caricaturist during times when meals are being served, guests generally do not like to be interrupted while eating, and the artist is likely to get in the way of waiters/staff members attempting to clear plates. 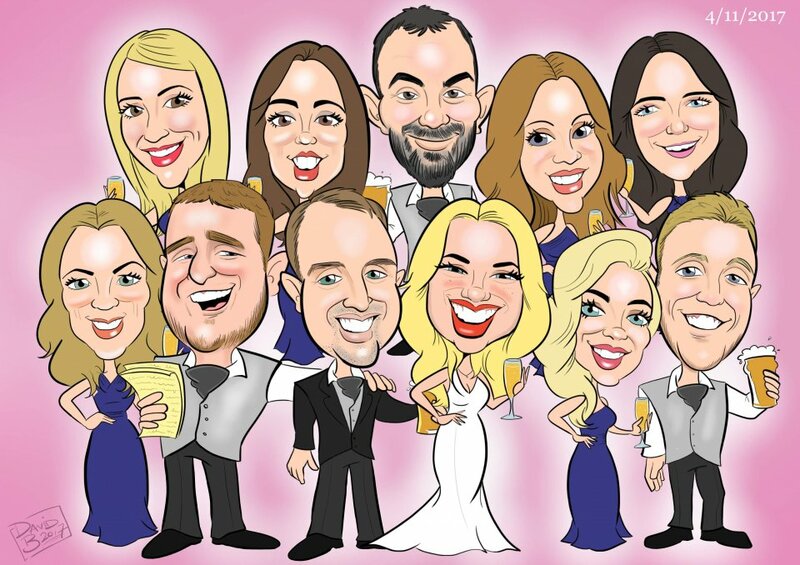 Customers who have enquired for David the caricature artist for weddings and events have also been interested in the following caricaturists who are also available in Cheshire and The North West. For more information or further options, please call 0845 643 9384.